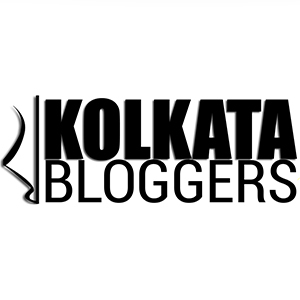 “Calcutta Walks” is a Kolkata based group founded and nurtured by Iftekhar Ahsan – aka Ifte – an intrepid explorer. Calcutta walks are manned by individuals from different walks of life. They organize and conceptualize tours in places people usually miss out on, so that they can get a taste of the real Kolkata. I – a member of Kolkata Bloggers – went for a walk with two of my seniors: Anirban Saha (founder of Kolkata Bloggers) and Saimantick Bhadra (photo blogger, Amity University, Mumbai). The walk comprised participants from different spheres of life, and I had the honour of being the only school student. This particular walk was through the Grey town – named so because people of various origins live there. The grey town ranges from Bowbazar to Burrabazar. Starting from eight o’ clock in the morning, we were to begin the walk from the Air India Building. However, since Anirban Da, Saimantick Da and myself had reached a bit earlier, we spent our time walking down the alleys, Anirban Da discussing about the types of frames to click, what we were expected to do and what we were expected not to do. Iftekhar Ahsan the Explorer turned Iftekhar Ahsan the Guide for us, and before the walk he gave us a preliminary idea about this grey town. The first place we visited was a Buddhist Ashram named “Bauddha Dharmankur Sabha”. Along with the resident Buddhist monks, people from all over the world who plan to visit the holy shrine (Bodh Gaya) stay here for a while before they set out for Bodh Gaya. Being a photographer, I must admit that yesterday’s (natural) lighting was perfect for clicking street portraits. One prominent thing I noticed about this area is that most of the houses were red in colour, evoking an oddly nostalgic feeling in me. Admittedly, it wasn’t something I felt before, but nevertheless, I had a sense of reverie and déjà vu. I met two Chinese kids who started making faces from their balcony when I pointed my camera towards them. While walking to our next destination we came across two Muslims, aged and physically challenged, one holding a white blanket and the other chanting Allah’s name. People were giving alms in that blanket. In my seventeen years in Kolkata, that was the first time I saw this. Ifte Da took us to a famous stall of Dalpuri and tea. We had a short breakfast there. The Dalpuri was actually very delicious. Men were herding goats which had bells stringed to their necks, and as the goats walked the bells tinkled – letting everyone know that the goatmilk seller had arrived. This too was something new for me. Kolkata is famous for “adda” (people sitting together and chatting about various topics), and that morning being a weekend – the morning “bhanr” of tea and adda was mandatory for all Kolkatans. Frankly, it was the first time I saw people of other ethnic backgrounds partaking in a recreation I used to attribute to only Bengalis. We came to a Chinese house where there was something written in Chinese on three sides of the door, and yes, the colour of the door was red (the most common colour in that area). Then we came to our next destination Parsi(Zoroastrian) Fire Temple . It was the present fire temple of Anjuman Atash Adran was established in 1912 by Ervad Dhunjeebhoy Byramjee Mehta .It is located in the Metalcafe Street(Popularly called the “Bandook Goli”) in the Bowbazar area of Central Kolkata . Ifte Da showed us cannon which were used in 1700s, now kept as a decorative item in the mouth of the alleys. I had seen them earlier, but had never quite realised that they were actually cannons. Our next destination was the Carey Baptist Church. It was founded in the year 1909 by William Carey, a missionary who had come to Calcutta, who had also founded the first University in India (Serampore) offering degrees. He translated the Bible into Bengali, Oriya, Assamese, Arabic, Hindi and Sanskrit. On our way to our next destination we came to a seller of unique Krishnanagar Handicrafts. We were walking through the Old China Town (Tiretta Bazaar). There were some interesting graffiti’s, curious faces and yes, people of different races. Then we went to a Chinese Temple. In their office we saw the only Chinese newspaper in Kolkata. The picture (above) shows a wall in the office which had different Chinese manuscripts and pictures hung on it. The temple‘s ambience was amazing. We tested our fate with the fortune teller. There is a glass full of sticks with different numbers written on it. One has to ask blessings from the god and then shake the glass. One stick will fall, and the number written on it will fetch you a paper and that’s your fortune. Well, suffice to say that I am quite concerned about Saimantick Da’s fortune and fate! We went to a place where noodles are manufactured – and the process was of manufacturing was immensely interesting. We went to another Chinese temple where we got to see old Chinese furniture – characterized by the absence of screws or nails, and the usage of solely wooden fittings. We saw a fascinating temple which can be dismantled just by removing one wooden block. No one attempted to dismantle it because we did not have enough time to assemble it again. We had street food; papri with some special salad. Our next destination was the Neveh Shalome Synagogue. Males have to cover their heads before entering the Synagogue. The interior of the Synagogue and view from the terrace was amazing. On one side one can see the Cathedral Church, and on the other the hustle-bustle of the City of Joy. And with that, walk came to a conclusion. Despite being a Kolkatan, I did not know these things were in Kolkata. Kolkata has so many people of different ethnicities, backgrounds and cultures. And the smooth confluence of these cultures to form one eclectic mix is what makes Kolkata inimitable. People who are interested in Heritage walks or in Kolkata’s Heritage should definitely get in touch with Calcutta Walks. My sincere thanks to Iftekhar Ahsan for guiding us throughout, and to Anirban Dada for everything. Its an initiative to build ” The future of the Past” (It is a project envisaged by Team Future that intends to connect the new generation of Kolkata’s artistic youth to its own past and heritage . If you are creative and love to do something out of the box with the city’s culture and heritage then click on the above link to know more). I would like to ask everyone out there , if you are interested in the Heritage of our city of Joy , want to protect and know more about its heritage and culture then join this initiative. And your blogs are always good. Very, very well done, Aikantik. Bhalo laglo, porey! This is amazing I loved reading it and the photographs are simply enchanting!